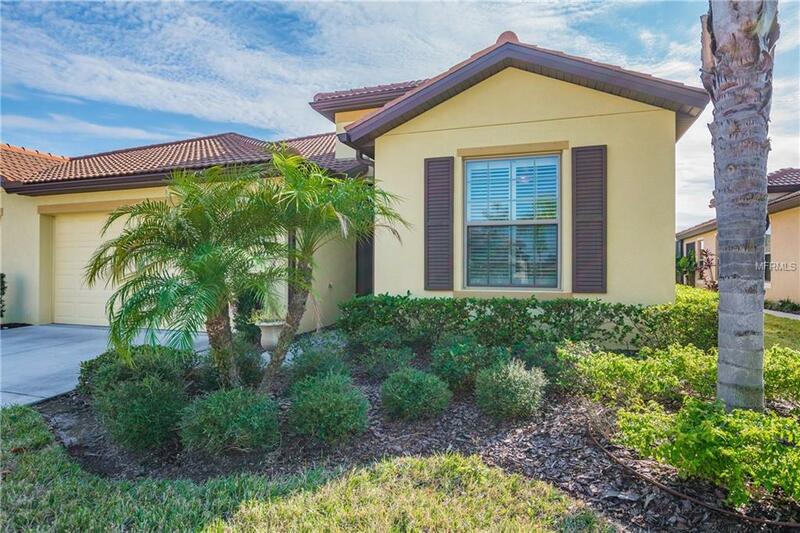 PRICE REDUCTION: This meticulously kept 2 bedroom, plus a large, 2 car garage home is less than 4 years old and is located on a very desirable cul-de-sac in the 55+ community of Southshore Falls. 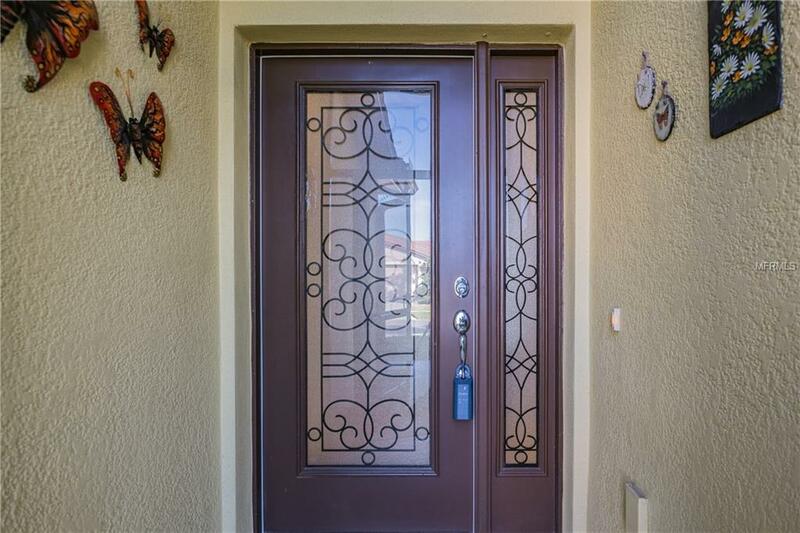 As you enter into the home it has a screened in front entrance with a decorative glass front door. 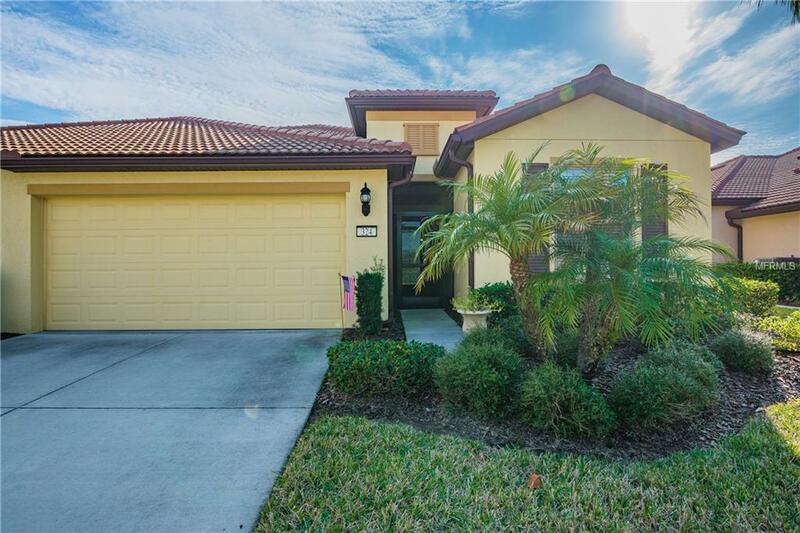 The property has ceramic and porcelain tile throughout, with tiled walls in both bathrooms, crown molding, upgraded stainless appliances, "LED" lighting under kitchen cabinets with custom ceramic backsplash, additional wall cabinets in laundry room with a laundry tub, a wall cabinet in the master bathroom. 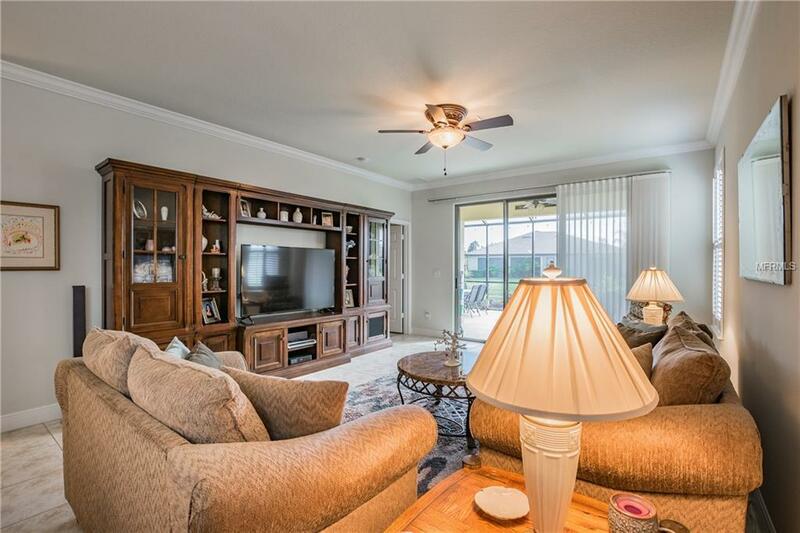 Ceiling fans with dimmers in every room, custom plantation shutters on all windows, and custom silk covered verticals on a 9 foot triple glass sliding door which opens to a beautiful southern exposure 20 x 26 foot extended (HUGE) lanai with drainage, "LED" lighting on a water view lot. This property meets all current hurricane codes with corrugated hurricane shutters for every window and both the sliding and front doors. This property reflects pride of ownership and will not last. Schedule an appointment to view, you will not be disappointed. Additional Lease Restrictions Buyer To Verify Current Lease Restrictions With Hoa. Pet Restrictions Buyer Responsible For Verification Of Rules And Restrictions With The Management Company. See Hoa Docs.